My cousins, my father, me and my brother. …Every single day was a struggle and many times I fantasized about running away and not coming back. At night, I cried myself to sleep, so tired, frustrated and worried about our future. I was also very angry and resentful and felt like my life was being placed on hold…When I received guidance, my senior in faith told me to chant to get benefit out of my struggles since I could not leave them. She also stated that my life is not made of separate compartments and that everything, including overcoming family struggles, is all towards the greater goal for building a happier, peaceful society. Although my father passed away more than 3 years ago, I am still processing the experience of being his caregiver during the last years of his life. It was a wonderful, life-changing experience, but initially very painful. Feeling sorry for my father, I used to wonder why he had to suffer so much. I also felt sorry for myself because this was not the life I had imagined I would be living. After chanting and receiving guidance from a Buddhist senior, I realized that feeling pity does very little to improve one’s life outcome. Therefore, I decided to utilize my father’s suffering as the impetus for his happiness and for my personal growth. Through this transformation, I experienced a richer, genuine kind of happiness. 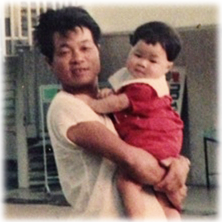 Best of all, my father and I became much closer. My wise Buddhist friend helped me to see that I can become happier, not in spite of, but BECAUSE of my difficulties. Just like the lotus flower, my life had blossomed out of the murkiness of daily life. My Mother, the Aspiring Centenarian. This week in class, we briefly discussed the growing numbers of centenarians in recent history. We learned that in the U.S., there were over 50,000 centenarians in 2000, and numbers are expected to reach 600,000 by 2050! This is an exciting, unprecedented time in history where the oldest old (85+) are becoming the fastest growing age group. Aging experts and non-experts alike worry about potential issues that can arise from the large population of older adults. The costs associated with aging and long-term care are major areas of concern, and recent reports suggest that there are not enough caregivers to accommodate the large numbers of elders. Although these concerns must be addressed by society (I often worry about these issues as well), there is something wonderful and hopeful about the notion of reaching the century mark. While I don’t know if I want to be 100, I am in awe of those who have reached this auspicious age. I imagine the very many historical moments they’ve been a part of, and the rapid societal changes and personal changes they have witnessed throughout their lifespans. Some of the characteristics of centenarians include healthy diet, healthy weight, no smoking, exercise, low stress, and social support. Genes also have some influence on longevity, and it seems that this is significant for centenarians. There are anecdotal stories I’ve heard where some people seem to have terrible habits and live unhealthy lifestyles, yet survive into old age. It may be that such persons have wonderful social support, which may be the essential factor that aids wellbeing. By the way, my mother aspires to be a centenarian. She is a spry 85 year-old lady, and something tells me that she has the determination to reach 100. In thinking about my mother’s life history, she was a young teenager growing up in a small village during the Second World War. Her family lived comfortably before the War, but experienced sudden poverty when her father died of Malaria at the age of 39. As a young woman she worked to help support her family, married late, gave birth much later, moved to the U.S. in her forties, faced financial instability, struggled to assimilate into an unfamiliar culture while trying to raise her children, challenged various health issues, and lost her husband to vascular dementia. She has had her fair share of hardships! While there is suggestion that stress contributes to aging, I believe in some people, such as my mother, stress fortifies their resilience. Early photos of mom. In the pic w/her friend, she is on the left side. When I was a young girl, my mother used to tell me that she decided to have me because she needed someone to take care of her in old age. I used to be offended by her comment, but now in midlife, I am starting to understand and appreciate her practical strategy. Incidentally, my mother gave birth to me when she was nearly 40. Perhaps she suspected that she might live a very long life! What do you think about the growing numbers of centenarians? Would you like to live to 100? Although I am undecided, I would love to hear what other people think. Thank you, and have a wonderful week! Father and me as a toddler. In my first post, I wrote about the decision to move my father to a long-term care facility. As I mentioned before, it was one of the most difficult decisions of my life. At the time, some people accused me of being a cold, uncaring daughter. It was a lonely experience to be shunned by others, but it made me determined that my father would receive the best possible care. I also decided that I would never judge others, even when their decisions or values differed from mine. We discussed the meaning of old age in class this week. There are various theories on aging, and it seems that there is an overarching belief in society that we must age in a certain way (i.e., disease-free, wrinkle-free) to be "successful." I, too, desire to age with minimal difficulties, and to be active and healthy until the very end. However, I know that I can have good habits, live mindfully, and still face unforeseen challenges in the course of my life. In thinking about my father's physical and cognitive challenges, I reflected on what makes life worth living. Years ago, a friend had stated that if he should ever develop dementia, or any other debilitating condition, he would choose to kill himself. Hearing his comment made me uncomfortable because of its violent nature. Prior to the worsening of his health, my father also hinted that life isn't worth living if he can't have the physical freedom and the ability to do whatever he pleases (my father also had Type II diabetes, was a life-long smoker, and loved lemon pies). It was devastating for my father to lose his mobility and to develop dementia. For awhile afterward, he insisted on continuing to do whatever he pleased, such as gorging on sweets. His actions often led to more suffering, which was difficult for all of us to bear. As a young woman, I had a fairly happy-go-lucky existence. I could do whatever I wanted, whenever I wanted. All that changed when I chose to become a caregiver. Initially, I was resentful, but this experience made me think deeply about what makes life worth living, and what it means to be free. As I chanted earnestly (I'm Buddhist) about this matter, I realized that even with my freedom, I was always wanting more and feeling dissatisfied. Thus, I reached the conclusion that I didn't need life to be "perfect," in order to be happy. I realized that I have the ability to be happy in any circumstance, and knowing this gave me a sense of freedom and comfort I hadn't experienced before. Getting back to my father, as his dementia progressed, family friends pitied him. Some openly stated that they hoped they would never become like my father. It was hurtful, but it's easy to assume we understand someone else's experience from our own perspectives. My father's physical and mental conditions changed drastically, but he was able to reframe his life to find things to be joyful about in the present. Every day I spent with him was an opportunity to share this happiness. We reminisced about his love of baseball and his life in Japan as a youth, listened to his favorite music, and talked about my cat, Twiggy. These activities sound simple, but we felt completely satisfied. I didn't feel the need for anything more. It's easy to think that certain conditions must be met in order to be happy, but being with my father taught me that happiness is found right now. It's not in some far-away place in the future where everything is "perfect." Thank you for taking time to read this post. Independence in the Later Years. Mother on her daily walk. My mother is 85 years old. She has never quite mastered English, but she is pretty feisty and has no problems going out on her own and interacting with individuals in various settings (though most people have no idea what she is trying to say to them). Growing up in Japan, mother was raised with the expectation to be dependent on others. However, being an immigrant in the U.S. had forced her to step out of her comfort zone. She learned to drive a car when she was 43 years old, and she is still driving today (quite nicely, I must admit). We encourage mother to be as independent as she can, but we also help monitor her health and make sure that she is safe and well. The challenge for me has always been balancing independence with interdependence in caring for my mother. For many Japanese immigrants, it is culturally acceptable for older adults to be dependent on their adult children, even when healthy and able-bodied. My mother, after being in the U.S. for many years, is fairly independent. Nonetheless, at times I can feel her envy towards her Japanese friends whose daughters do everything for them. Personally, I think my mother will thrive into old age because she is invested in her health and well-being. There are times, on the other hand, when I think independence is overrated. It's important to do what you can for yourself, yet insisting on being totally independent can be problematic when physical and cognitive changes compromise one's abilities to manage self-care. I've witnessed this scenario with a few older persons, and my mother's former acupuncturist / massage therapist, Hana*, is a prime example. 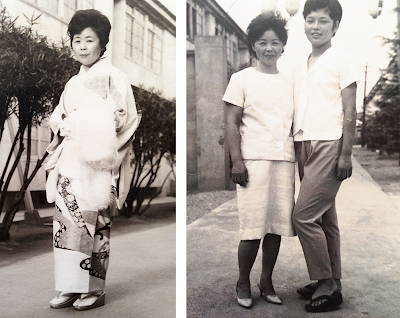 Hana, who is 83, has led a remarkable life. As a young woman, she left Japan to attend college in the U.S. and never went back. She never married and lived alone throughout her life so she could pursue her interests. It is uncommon for a Japanese woman of her generation to choose passion over social convention, but Hana had stated that she was too strong-willed and unable to compromise with others. I don't know her complete history, but Hana was dedicated to her studies on health. Until January, she continued to take classes to perfect her therapeutic skills. More than a healer, Hana was a great companion for my mother. Her prediction was that she and my mother would grow old together and live to be 100. To make a long story short, Hana was also stubbornly independent. She became ill recently, and during her hospital stay, it was discovered that her cancer, that had been in remission, had returned. Worse yet, the cancer had metastasized throughout her body. It was probable that she would not live longer than 6 months. Nevertheless, Hana was convinced that she could live independently at least until her 90s. Friends offered to help, but she didn't want to be a burden. She had been staying temporarily at a nursing facility, but when my mother went to visit one day, she was no longer there. Friends do not know her whereabouts, but it seems that she left with a young couple that she had befriended. Clearly, we don't have the complete story, and do not know where she is. Hana's story reveals a person who treasures independence above all. She was too proud to ask her younger siblings, all residing in Japan, for assistance. Furthermore, it wasn't clear whether they knew of her condition. I cannot help but wonder whether her situation may have turned out differently if she were less independent and willing to have others care for her? But, perhaps she was perfectly fine in her decision despite outcome. And…maybe this is more of a problem for me because I am struggling to accept it. Where do you draw the line between independence and dependence? It's not always easy to know. I would be interested in your thoughts. As always, thank you for visiting my blog. *By the way, Hana is a pseudonym. Hello, and welcome to Geroinspired! I am fascinated with topics related to aging and elders, and hope to share relevant experiences and information in the future. For my first post, I would like to share my personal history and why I have chosen to become a gerontologist. Formerly, I was a graphic designer. In mid-life, I decided to pursue a new career. I wanted to help people in a more personal way, so I went back to school to study psychology. I knew it would be a lengthy process towards my degree, but I was ready for a change. After my first semester, my father had a stroke and my family needed my assistance. Without hesitation, I decided to put my goals on hold to help care for my father. My father had many small strokes before, but now he was losing his mobility. Although I did not know at the time, father was also developing vascular dementia. He was becoming increasingly angry and making inappropriate comments that were contrary to his usual self. In time, friends stopped visiting because my father's behavior made them uncomfortable. The experience of being a caregiver was difficult, to put it mildly. I knew nothing about being a caregiver, and I was often overwhelmed and scared. I did not know where to turn for help, and I didn't know the types of services that were available. Fortunately, I was not alone. My husband was a tremendous support. He helped with daily care needs, such as toileting and bathing. He also provided emotional support on days when I was ready to give up. I don't know if I would have made it without him. My mother, struggling with her own health issues, did whatever she could to help care for my father as well. As my father's dementia progressed, however, he constantly yelled at my mother. This in turn affected her health, and mother was having fainting spells due to rising stress levels. It was a hard decision, but eventually we decided to find a care facility for my father. We visited him everyday, and surprisingly, my parents' relationship improved. Father started to constantly thank mother for her love and support. (They had been married for over forty years, but he had never thanked her before)! My father passed away in 2010, and the experience of caring for him changed my life. Being a caregiver was emotionally and physically demanding, but my love and appreciation for my father deepened. 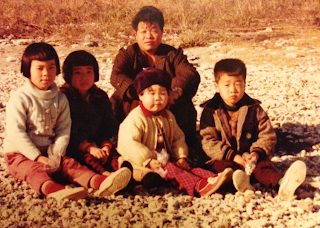 Looking back, I believe that being a caregiver for my father was an invaluable gift. I had the opportunity to be with my father everyday in his later years. I think if he were healthy, I might have taken him for granted and spent very little time with him. 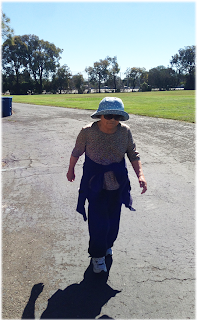 Being a caregiver made me realize difficulties that people face as they grow older. Many older adults are challenged with physical and cognitive changes, and seeing such changes in my own father made it a personal matter. Additionally, I realized that ageism is rampant in our society. I witnessed others, including medical professionals, treating my father dismissively because of his condition. Such incidents motivated me to study gerontology. For me, working with older adults would be the best way to contribute and to grow. Currently, my interests include health, wellness and creativity in aging. Although many equate older age as a period of decline, there are countless older adults discovering untapped potentials and pursuing new goals despite having various age-related changes. I would like to learn through their examples on how to live fully every day and to not take life for granted. Thank you for taking the time to read this.